The secret of Internet success in today's world is your ability to reach, secure, and hold the top position on search engines. The value of the #1 position on Google and Yahoo is worth millions of dollars a year. Without this kind of positioning you are just one in 8 billion Web pages. Reno SEO can get you on page one of all the top search engines; Google, Yahoo, AskJeeves and MSN; Guaranteed Results or your Money Back! We have a proven record of success with every one of our clients - results that have increased sales for one client by 38% in less than 30 days, amounting to $15,000 dollars worth of sales in one month. Our methods put another client on page one of Google in only 16 days. Our latest success story got to the #1 spot on MSN Search in only 20 days. 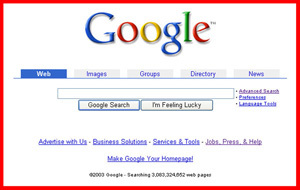 Search Engine Optimization is a relatively new science that is changing daily. The search engines change their search criteria and we make instant changes to keep you at the top. RenoSEO guarantees results or your money back. If you are launching a new website we guarantee to get you up and indexed in less than a month. If you are an established site, we guarantee to increase your present rating and position, and can get you on page one, or we will give back every cent. You have nothing to lose by giving us a try. Our plan will achieve top ranking organically, meaning that you are not going to be buying Pay Per Click Ads to get to the top. We can however takeover and handle your current PPC campaigns should you choose. Our Guaranteed SEO Marketing is unheard of to the rest of our industry. Reno SEO offers a complete optimization plan for all of our clients because doing small portions is a waste of your time and money. It's all or nothing with optimization or it does not work. Do not be fooled by companies that just want to tweak your copy or your headlines; it is not enough, you will not get the results you're looking for. We know that we have a proven formula to reach the top. We follow it to the letter and it works every time, that is why we offer a 100% money back guarantee. Try finding that with any other SEO firm out there. We are the only SEO company that stands behind their work. They will never match our results, our prices, or guarantee. Expert copywriters understand how search engines work. A search engine uses keywords and related phrases to find things. You must have these keywords placed properly on your webpage where the search engine expects to find them. These words must be placed at a certain mathmetical frequency within your copy or you will never get the rankings you desire. RenoSEO knows copywriting and how to make the most of keywords. We will research your industry and competition and then optimize your current copy for maximum results. At that point we manage your copy monthly and in some cases daily, to make your website as visible to search engines as possible. Not all Internet users speak English. If your website is not optimized for all available languages you are missing a huge portion of your market. Adding versions of your site in Spanish, Portuguese, German, French, etc also adds to your credibility as an international source of information. Some Search Engine Robots look at your Web site to see who you are linked to. Links to businesses that are related to your subject or are an intergral part of our design for you. We will be adding a number of these links to complimentary Web sites that offer information on your specific category and then update them often for maximum results. Becoming part of the News is the quickest way to get top rankings on all the top search engines. Our plan includes a sequence of news releases to 8500 National Newspapers and Web sites. These News Releases will attract thousands of other links from newswires all over the world. Blogs (WebLogs) and RSS (News Feeds) are the newest addition to SEO. These two things are extremely powerful and according to all accounts is the #1 most powerful weapon at your disposal for getting top ratings. Having a Blog is now becoming a must have for all web sites. You site needs daily updates to be ranked at the top. We change your RSS, maintain your blogs, change meta tags and titles, PPC ad copy, and link changes on a daily basis. Without this constant attention your ratings and top position will eventually drop. Monthly fees start at $495 per month. Sites that require daily attention will be higher.